The Heinrich Mayer GmbH textile printing plant offers a range of products that the company’s name does not make immediately apparent. Hybrid textiles, for example. That is what managing director Michael Steidle calls his ceramic-coated high-tech fabrics. Patented as CERAPUR, these smart textiles are used inter alia in the automobile and furniture industries. Do they feel like fabric? Well, not entirely. But Steidle is not a “dyed-in-the-wool” textiles man himself – which is not to say that he has turned his back on classical printed textiles. 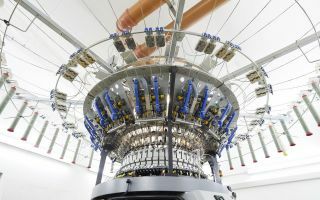 Technical textiles may now account for the lion’s share of the company’s sales revenue, but with a range that extends from screen and rotary to roller printing, Heinrich Mayer GmbH is one of the few remaining German textile printing companies with such a wide-ranging product portfolio. 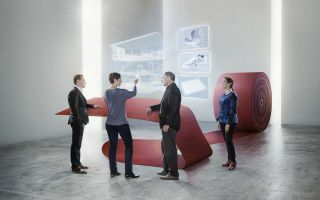 “It was already clear about 20 years ago that changes were under way in our line of business,” says Michael Steidle, managing director of the Mayer textile printing company in Meßstetten-Unterdigisheim. He and his wife Claudia took over the company in 2002 from his father-in-law Heinrich Mayer, who founded it in 1974. Back then textiles were still a mainstay of industry and employment in Germany’s Swabian Alb region. By the 1990s, however, the industry’s eastward relocation was gaining momentum as more and more production stages were transferred to lower-cost locations in other countries. “It hurt,” Steidle recalls, when customers who used to deliver tons of material a week for printing came round just to get samples. So in addition to high-quality textile printing the focus was from the outset on opportunities that textile surfaces offered in areas other than fashion and clothing. Instead of printing in colour on fabric, other materials could be printed; that was the approach. 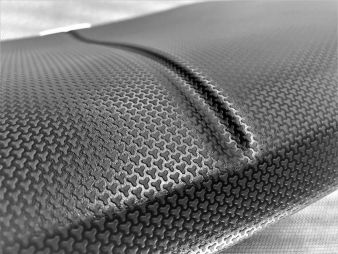 “A textile surface can be the basis for all manner of composites. It is an incredibly versatile carrier material,” says Michael Steidle, presenting a fabric pattern that is easily assigned to sportswear. It is the substrate for Cerapur, a 3D hard ceramic coating that the company has patented. The coating is applied in small burls, large triangles or flat rectangles, depending on the properties the customer requires of the end product. 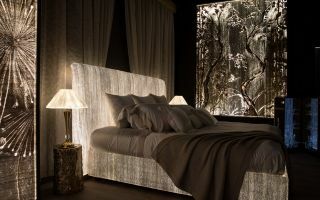 It can also be flame-retardant, anti-bacterial or luminous in the dark – all entirely individual. A lowermost rubberised layer completes the three-surface composite. The Swabian family firm’s resourcefulness and ingenuity have become known in the industry. “Customers frequently come to us with their requirements and ask us to develop a suitable solution,” Steidle says. 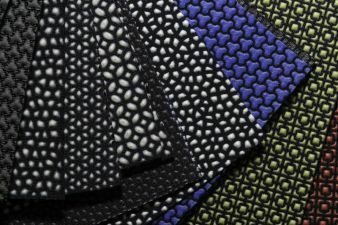 “One order, for example, was for a seat surface for a work chair that was to be low-wear and comfortable and, above all, prevented electrical discharges, which can quickly lead to damage in electronics manufacturing.” The result was ESD fibreX, a patented conductive ceramic composite applied to matching textile carrier materials such as ESD coateX. For each new order and each new idea the ceramic coating with the required properties must first be developed. In a second step the Mayer textile printing company takes care to ensure a harmonious interplay between carrier and coating material. Trials are always needed in order to achieve the optimal result. Steidle is satisfied with nothing less than optimum. So it is hardly surprising that every machine in the spotlessly clean production hall is a one-off, designed to apply the tough ceramic coating or to achieve the matt effect that is a must in the automobile industry. Supplying smart textiles also means incorporating external processes. In some cases special yarns are required that must be knitted and equipped accordingly. “We prefer to work with regional partners and, fortunately, we have innovative enterprises on our doorstep,” Steidle says, given that he not infrequently needs to do his own sourcing for a customised product. “Our customers greatly appreciate the fact that we deliver a smart complete solution and they do not need to deal with details such as finding the right supplier,” Steidle says. Behind that lies a great deal of trust that the company has worked hard to earn. Certifications like ISO 9001 testify to the company’s high quality commitment. The GOTS and Ökotex seals of approval stand for sustainability, and they apply to both technical textiles and classical textile printing. The company has never abandoned textile printing, by the way; quite the opposite. In order to continue to supply longstanding customers Heinrich Mayer GmbH even relocated to Greece. Today the company has a branch operation in Bulgaria. And in Unterdigisheim it still prints in colour on jersey fabrics – even roller printing. “We are one of the last companies in Germany that print tubular fabric,” Steidle says. His customers appreciate that. Most of them come from the surrounding area and are themselves champions in their respective fields.